And just like that, the Note is back. 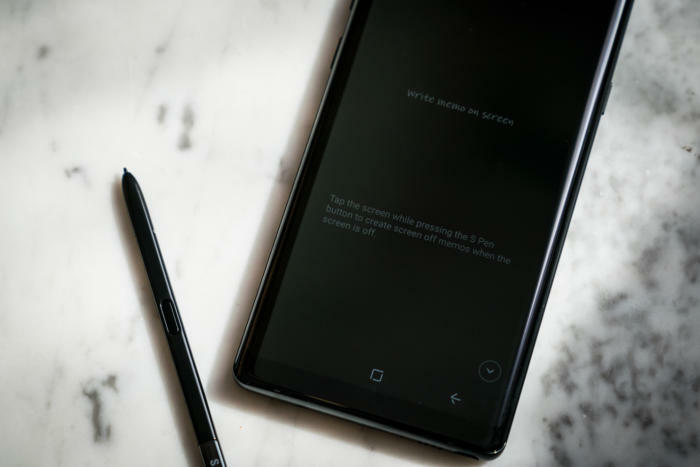 Instead of scrapping the brand after a global recall harpooned last year’s Note7, Samsung went back to the drawing board to build the Note8, its most powerful phablet yet. Strangely, the fact that Samsung promises near-foolproof battery safety seems almost secondary to the Note8’s new features and design. The Note8 is like a Galaxy S8+ on steroids. The RAM has been bumped to 6GB from 4GB. It has a bigger 6.3-inch screen (versus 6.2 inches on the S8+). And there are now two rear cameras instead of one. Samsung has officially kicked off the end-of-the-year phone wars by releasing its most powerful flagship ever, a compact 6.3-inch phone that marries a stunning screen with its first dual-camera system. The fingerprint scanner is still in a terrible spot and the 3,300mAh battery is a touch smaller than the Note7’s 3,500mAh battery, but the Note8 still looks like a triumphant return for Samsung’s best-selling phablet. Pre-orders begin August 24, and Samsung says the phone will begin shipping on September 15. The Note8 clearly takes its cues from the Galaxy S8+, but it’s not a perfect carbon copy. While it has the same glass back and button placement, you’ll notice that the shape is slightly more square than the rounded S8, putting more of an emphasis on the 6.3-inch Quad HD+ 1440 x 2960 Super AMOLED Infinity Display. And while the Snapdragon 835 chip is the same as what’s in the S8 (because there isn’t a better processor out there yet), the extra RAM should help everything feel snappier. But the biggest differentiator, as always, is the S Pen. Samsung has added its customary slot along the bottom edge of the device for its stylus, and it brings a few new tricks along for the ride. The pen itself has increased pressure sensitivity and a finer tip than last year’s model, and there are a couple new features as well. Habitual texters get a new way to communicate in Live Message, which creates an animated GIF of what you draw on the screen to send to your friends. Screen-off memo has been enhanced to support up 100 pages of notes. And Translate now gives you the ability to translate full sentences (rather than just words) in more than 30 languages. There’s also a new feature called App Pair that lets you set two apps to automatically launch together directly into multi window. And of course, the Note8 includes full support for Bixby, including the recently launched voice control. However, next to the fingerprint sensor is a seriously upgraded camera. 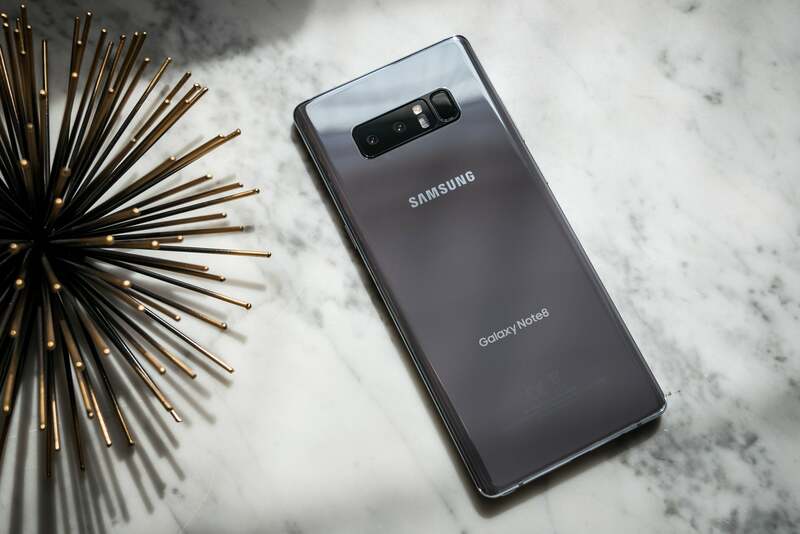 For the first time in a Galaxy phone, the Note8 features a dual camera setup, with a pair of 12MP cameras, both with optical image stabilization. The main sensor includes 2x optical zoom, dual pixel sensor, and f/1.7 aperture, while the secondary telephoto lens features f/2.4 aperture and 10x digital zoom. As you might expect, the dual camera brings some changes to photo processing, most notably when it comes to depth perception. With the Note8’s portrait mode, you can simulate a DSLR bokeh effect like on other dual-camera phones, but there’s a twist: Samsung lets you tweak the blur intensity in real time before you snap the photo and adjust it after it’s been snspped. The battery is going to be a major focus of early Note8 sales—as in, will it burst into flames?—and Samsung has gone to great lengths to ensure that it’s safe to use. The handset only features a 3,300mAh battery, which is smaller than both the S8+’s and the Note7’s 3,500mAh battery. Of course, that alone doesn’t make it safe, so Samsung is also touting the same 8-point battery safety check that it implemented for the S8. Additionally, it has established a partnership with UL to certify the Note8 is up to speed with the firm’s specific standards. 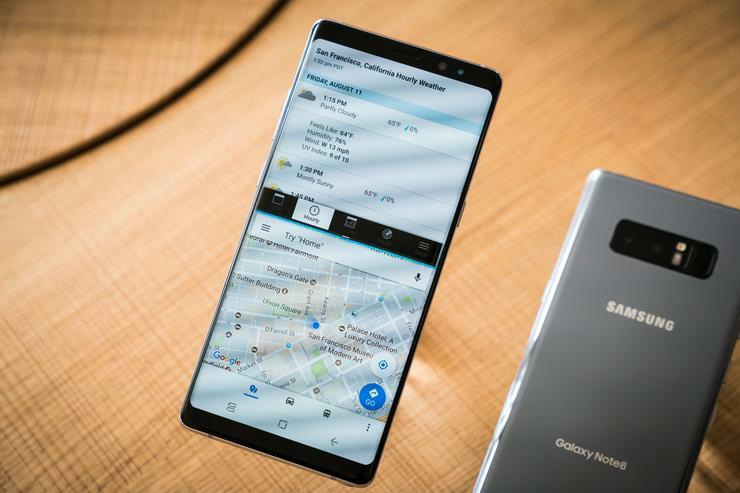 The 64GB Galaxy Note8 will be available in the U.S. in black and grey, and overseas buyers will get to choose from blue and gold varieties as well. We’ll update this post as pricing and availability specifics are announced.